DOMESDAY (AUS) (Brown 2002-Stud 2006). 2 wins at 2, STC Silver Slipper S., Gr.2. Sire of 376 rnrs, 216 wnrs, 12 SW, inc. Pressday (BRC TJ Smith Classic, Gr.1), Doctor Doom, Arcadia Dream, Domesky, Antelucan, Divorces, Heart Starter, Oregon's Day, Italy, Cailin Miss, Sunset Rock, Backgammon, SP Five to Midnight, Supara, Whatalovelyday, Giresun, Nextanix, Mr Optimistic, Actuariat, All I Survey, Boom Box, Cathy's Mark, Ducal Castle, Heavy, etc. Daysee Doom (f. by Domesday). 3 wins. See below. See a Victory (Mister C). 3 wins. See above. Danish Conquerer. 5 wins from 1100m to 1650m, A$108,275, WATC Become a Perth Racing Facebook Fan H., Blue Spec Mining H., Perth Racing Members H., Belmont Oaks Ladies Day Luncheon H., 3d WATC Beer Store Morley H., Ozbet.com.au H.
Danish Tapestry. 2 wins at 1650m, 1700m, WATC Pago Mystery P., Wabasso H., 2d WATC Assured Ascot Quays H., Playeronline.com.au H., 3d WATC Westspeed 3YO H.
Victobougg. 6 wins from 1400m to 1700m, A$87,770, to 2014-15, 3d WATC Carbine Club of WA Apprentices' Cup. COOLDINI (Bernardini). 6 wins from 1600m to 2600m, A$349,425, VRC Roy Higgins H., L, Banjo Paterson Series Heat H.-twice, MRC Dennis Hanrahan H., San Remo Hotel H., 2d VRC Banjo Paterson Series Heat H., 3d VRC Banjo Paterson Series Final H., MRC Legatee Ron Foskett H.
CORRECT AMOONDO (Snippets). 6 wins from 1600m to 2000m, A$374,405, Seymour Cup, L, VRC Comedy King H., Step Ahead Australia Mile H., MRC Greater Dandenong Chamber of Commerce H., 2d MRC Sovereign Red H., Even Stevens H., Silver Thomas Hanley P., Pakenham Cup-twice, MRC Beau Gem H., 3d Mornington Cup, L, VRC Baden-Baden Trophy H., TAB Power Pays H., MRC Cole Diesel H., SAJC Allan Scott Park First Anniversary Cup H., Geelong RC Briseis Gold Cup. Eliza's Viscount. Winner at 2000m in 2015-16, 2d MRC Polytrack H.
DON BELLOTTO (Bellotto). 14 wins-2 at 2-from 1100m to 1650m, A$142,750, TTC Newmarket H., L, 2d Tasmanian S., L, TRC Crown Lager S., L, TTC Gold Sovereign S., L, 3d TRC Thomas Lyons S., L-twice. KERMADEC (Teofilo). 4 wins at 1400m, 1600m, A$2,905,025, to 2015-16, ATC Doncaster H., Gr.1, George Main S., Gr.1, VRC Carbine Club S., Gr.3, ATC Mossman at Vinery P., 2d ATC George Ryder S., Gr.1, NSW Tatt's RC Chelmsford S., Gr.2, 3d ATC All Aged S., Gr.1, George Ryder S., Gr.1, Canterbury S., Gr.1, Hobartville S., Gr.2, 4th VRC Australian Guineas, Gr.1, MRC Caulfield S., Gr.1, ATC Eskimo Prince S., Gr.3. TRIPLE ELEGANCE (Mossman). 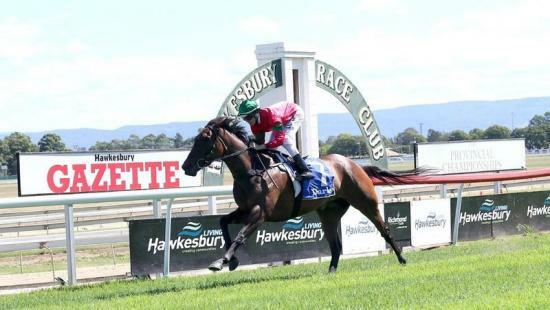 8 wins to 1550m, A$789,730, ATC Liverpool City Cup, Gr.3, GCTC Magic Millions Cup, L, 2d Hawkesbury RC Ladies Day Cup, L, 3d ATC George Ryder S., Gr.1, George Main S., Gr.1. AT THE HEADS - HEAD START (Sing.) (Hussonet). 6 wins from 1100m to 1600m, A$308,225, S$57,037, VRC Chester Manifold S., L, Singapore TC Vigcon S., VRC Smithfield H.
SHOREHAM (Reset). 3 wins-1 at 2-from 1400m to 2500m, A$548,035, VRC Galilee Series Final H., L, 2d MVRC Drake International Cup, Gr.2, 3d South Australian Derby, Gr.1. Race Record: 3 Starts 3-0-0 A$84,025. 3 wins at 1100m, A$84,025, in 2015-16, ATC Schweppes H., Pro-Ride H.